I read the strangest book a few months ago. I read it somewhat quickly because it was due back at the library, but I’ve been thinking about it since I finished. I bought it just so I could keep perusing it. I pick it up and just stare at it from time to time. 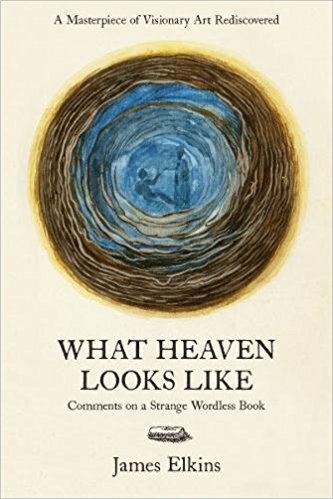 It’s called What Heaven Looks Like: Comments on a Strange Wordless Book by James Elkins. So, it’s a little hard to explain. The book is the author’s reflections on another book, which is a book of paintings of slices of logs. Yeah. So, that basically sold me right there. I know that makes basically no sense,1 so to clarify: in the University of Glasgow’s library, there is a manuscript by an anonymous artist. That manuscript is a bunch of paintings of what the artist saw when gazing into the rings left in cut pieces of wood. This book, then, is James Elkins’ analysis of what he saw in those paintings. And something about that just blows my mind. I’m not sure if it’s the layers of reflection upon reflection, or if it’s the uncertainty that anything Elkins sees is actually there, or just the fact that the original manuscript exists at all. Maybe it’s the scrying upon scrying, or just the strangeness of someone staring into cut pieces of wood, or the echo of that bizarre act through paper and through time. Whatever. I’m so into it. 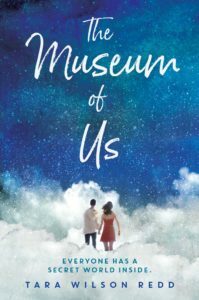 Anyway, cutting short the rambling, I really liked this book. The end. There’s a kind of idea so outside your experience that you can’t process it, which then becomes familiar to the degree that it seems perfectly natural and you’re confused when other people don’t understand. The first time I heard about Edward Scissorhands was one for me. It happens so rarely for adults. I typically regard the object-less verb “mean” with some suspicion, but in this case it’s kind of necessary. It does in some ways focus agency on the image. Next Next post: Teleprinter In A Box?